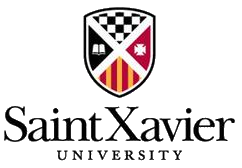 David Stern, Library Director at Saint Xavier University in Chicago, will deliver an introductory-level presentation on key considerations for Personal Knowledge Management (PKM). David will demonstrate processes in multi-media materials capture, organization, and sharing. He will discuss software applications for individual and organizational implementations, with possibilities from simple free software tools that can be used by individuals to catalog research findings to create sophisticated competitive intelligence platforms that require significant organizational resources. His examples will utilize Zotero and Diigo tools, and he will extend these concepts to address some linking across social media tools. He will also mention enterprise considerations such as taxonomies for sharing data using the Microsoft SharePoint Portal Services. David Stern is the Library Director at Saint Xavier University in Chicago. He was Associate Dean for Public Services at the Milner Library of Illinois State University, and before that the founder and principal of Maximize Information, a firm specializing in advanced information discovery techniques, enhancing organizational communication, collaboration and knowledge management, and leading organizational reviews and project management initiatives to find service quality improvements. 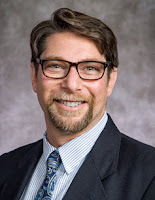 Prior to this consulting experience, he was the Associate University Librarian for Scholarly Resources at Brown University, the Director of Science Libraries at Yale University and he has also worked as a general librarian, a medical librarian, and a science librarian in centralized and departmental libraries. 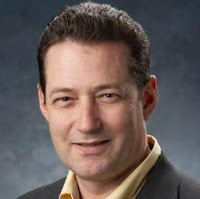 In addition, he has taught library science graduate courses (University of Illinois and Southern Connecticut State University) and serves as a consultant and advisor to a number of professional societies and commercial publishers and online services. He has degrees in Biological Sciences (University of Connecticut), History & Philosophy of Science (Indiana University), and Library Science (Indiana University). Full online cv. Join the community of knowledge managers, information architects, and librarians, along with ​Hipskind consultants, ​DataGravity ​executive leadership, and KM Chicago for ​wine, ​hors ​d'oeuvres ​and timely ​discussions on passive capture of corporate ​expertise, and the importance of KM Governance. Dr. Anthony J. Rhem, President of A.J. Rhem & Associates, Inc. Author, speaker, professor and consultant, Chicago’s own Dr. Anthony J. Rhem presents research from his new book Knowledge Management in Practice, A Real-World Look at Actual Cases, Techniques and Insights on the Practice of Knowledge Management. Dr. Rhem will narrow his discussion on the imminent concern for KM Governance in the workplace. networking event. This joint event is a great opportunity to connect with colleagues across professions of records management, information governance, archives, and knowledge management. ZAGAT rated: "The more people in your party to share dishes, the better" at this "hip", "always crowded" River North Italian where "authentic", "way-above-average" "big and little bites" (including "wonderful house-cured meats"), "many wine options" by the carafe and "genuinely good" service "completely outweigh" the "astounding noise"; the "rustic" bi-level environs can get "tight", but prices are "so reasonable you can go back the next night" – and many do. Based on his new book which explores topics on how to bring together aspects of effective knowledge leadership to enhance performance, Dr. Arthur Shelley will present KM Chicago with a lively dialog about Organizational Character, and include a fun game of exploration into how behavioral interactions impact knowledge flows and creativity. An evening with Arthur Shelley video introduces you to the author and core concepts behind his understanding of organizational management. 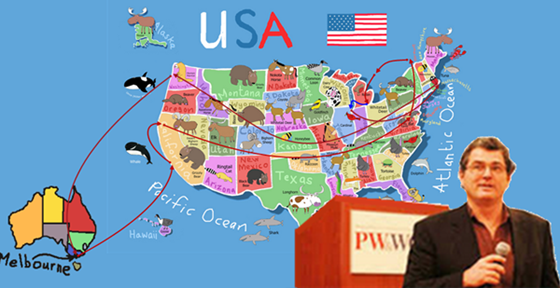 He does so by discussing his book The Organizational Zoo, A Survival Guide to Work Place Behavior, published in 2006. 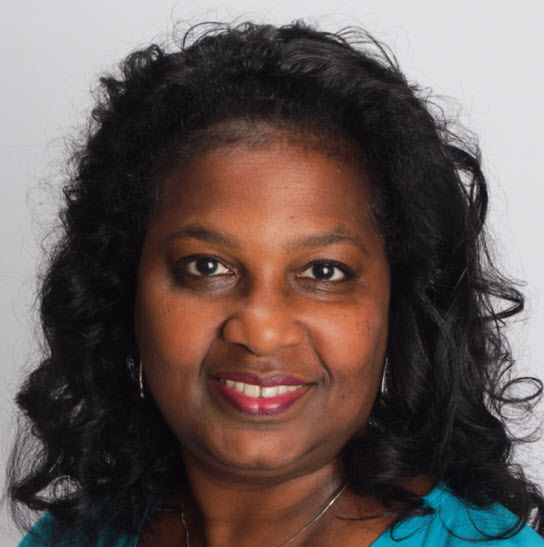 Shelley will examine how diverse behavior profiles are key to a successful organizations and individuals. What's your animal? Click this link to help you identify your top four behavior profiles. Are you a piranha in the morning, and mouse at night? Learn more about your inner animal and how your four-legged being morphs from moment to moment in context to the circumstances. Dr Shelley is a capability development and knowledge strategy consultant with over 30 years professional experience. He has held a variety of corporate roles including managing international projects in Australia, Europe, Asia and USA and is an awarded tertiary educator. He facilitated courses on Knowledge Driven Performance and Project Leadership in RMIT University’s MBA and Master of Project Management programs and Knowledge Management through Open Universities Australia. Arthur is the author two books: Being a Successful Knowledge Leader and The Organizational Zoo, and has written book chapters, articles for academic and professional journals and has a regular blog providing insights from his research about metaphor and behavior. His new book KNOWledge SUCCESSion will be released in mid-2015. Arthur is regularly invited to international conferences to speak or facilitate workshops on his books and articles or to share experiences as the former Global Knowledge Director for Cadbury Schweppes. He is founder of The Organizational Zoo Ambassadors Network (a professional peer mentoring group), Senior Industry Fellow at RMIT University, former leader of the RMIT MBA mentoring program and co-facilitator of the Melbourne KM Leadership Forum. 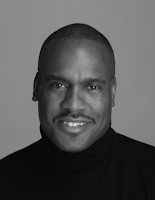 He has a PhD on the influence of behavior on team interactions and a Master of Science. 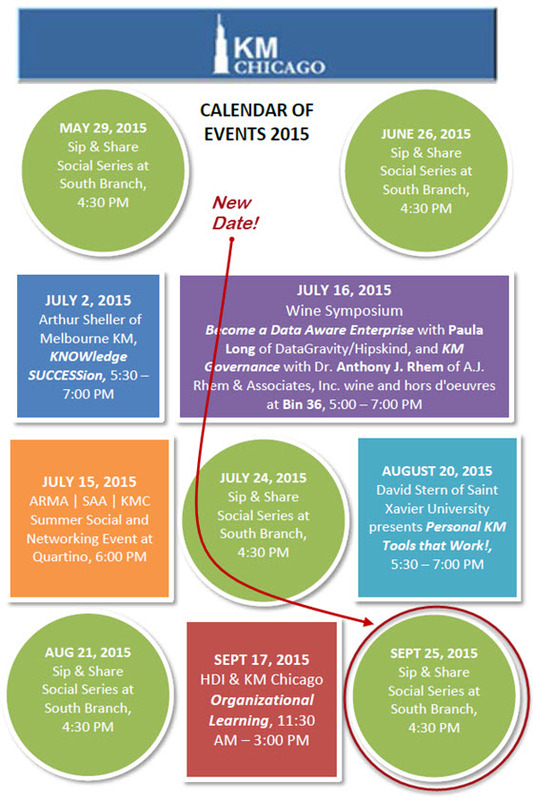 Our next Sip & Share AAR is scheduled for Friday, June 26, 2015 starting at 4:30 PM, at South Branch Tavern & Grille.